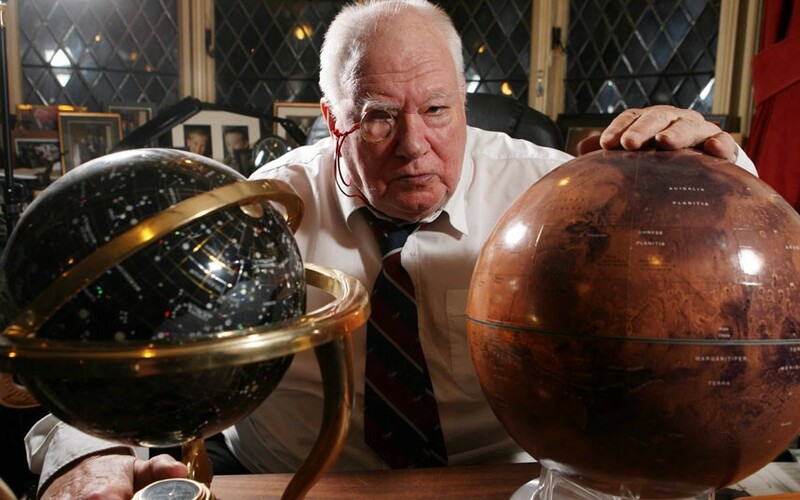 Iconic TV astronomer Patrick Moore saw a UFO caught on camera while making a documentary during the 1960’s – but the BBC edited it out, an alien researcher has claimed. Matt Lyons, an alien researcher, made the bold claims during the 50th anniversary of the ‘Warminster Thing’ – after local residents of the Somerset town began reporting strange noises and paranormal residents in 1965. Detailing the claims, Mr Lyons revealed how local reporter Arthur Shuttlewood had spoken to Sir Patrick as he stargazed in the village in January 1969. But despite being a renowned UFO sceptic, Sir Patrick and his production crew were said to have spotted a ‘UFO’ - and their watches stopped when they arrived on the site. Mr Shuttlewood wrote: ‘Just after a satellite arced from north to south, the attention of a camera man was drawn to an orange glow that developed into an ellipsoidal craft flying low in the opposite direction to the satellite.